Mozilla announced a moment ago that it made the decision to stop offering "Firefox OS smartphones" to carrier channels. Mozilla, best known for its Firefox web browser, revealed Firefox OS back in 2013. Core goals of the project were to deliver an open mobile operating system alternative to Android, iOS and Windows Phone. Firefox OS handsets were launched in several markets such as South American countries but failed to gain any meaningful traction likely because it had to compete against low-cost Android and Nokia/Microsoft handsets which were backed by a better ecosystem of applications. Ari Jaaski, Mozilla's SVP of Connected Devices told Techcrunch that there will be no more Firefox OS smartphones offered through carrier channels. While Firefox OS seems more or less dead when it comes to smartphones, it appears as if Mozilla decided to focus on connected devices instead. It is unclear right now what the plans are in this regard though. Will Firefox OS development continue unhindered but with the different focus, or will resources assigned to the project be pushed to other projects at least partially. It is too early to tell but it is likely that Mozilla will reveal the new strategy rather sooner than later. It seems that a fair bit of restructuring is going on at Mozilla. The organization announced last week that it wanted to split the Thunderbird email client off and make it an independent project instead. While that is still being worked out, the organization reassured Thunderbird users by stating that it would make sure that the newly created project would have a solid financial backing and support. Now comes the announcement for a new Firefox OS strategy, and one has to wonder where the drive to reorganization comes from. Mozilla had a strong financial year in 2014 and stated that things looked even better in 2015 thanks to the switch from a single global search partner (Google) to regional search partners. I'm not sure what to make of it. Firefox OS never felt as if it would have a chance, but the dropping of Thunderbird is still something that I think is a mistake as Mozilla could put resources behind the email client once more to add features like Group Policies or a mobile client that it is sorely missing. Now You: What's your take on the development? Mozilla announced a moment ago that it will stop offering Firefox OS smartphones through carrier channels. – I have a Firefox OS device, it was already dead since early 2014, only updated by external builds. Stuck at version 2.0 with a few features missing already. – Also tried Servo, their new rendering engine for Firefox coded in Rust, they talk about how faster it is compared to Gecko… I compiled and then tried it, slow, buggy and some web pages rendered incorrectly, it’s been around for three years and still doesn’t have a Windows port. @Sören Hentzschel: Are you now finally shutting up, Sören? I told you once that Firefox OS was a bad idea, as it is and was never able to uphold a significant share of the market. In your eyes I was just being a stupid hater… However, I was completely right, so I don’t care at all. You are the one in skirts now, Mozilla representative Hentzschel. I also told you that Mozilla would further diminish all possibilities of customization in Firefox, and I was (as expected) right there too. They are crippling the Add-On-SDK so that extensions like Classic Theme Restorer can’t be written anymore. Don’t waste your time with that Mozilla ambassador/volunteer. No matter which arguments you bring, they always tell Mozilla is right. You argue that features should stay in the core, they preach the opposite direction. Guys like him totally approve the Google Chrome like direction Firefox is taking, it is really no use to argue with that ones. Another example that running behind Google is not helping them. Mozilla should know by now already that even if they tell the public that “we are rich now” they still are having money issues. No one wanted to advertise in their tiles, their phones have been of no big interest, they are of no big relevance for the mobile sector! Google contract brought them tons of money, and they are openly LYING that Yahoo deal offers them much more money! When Mozilla will understand that they are not that powerful and successful as Google, that they will not get the user-base a Chrome does have. Why not accepting that having a power user user-base and being a smaller browser is nothing bad, instead they use every single opportunity to bloat themselves and the end result is that they very often are failing in a beyond miserable way. Here is my advice Mozilla! Kick out your Google worshipers and marketing specialists who are leading MozCo right now, bring in some people who understand the users and their needs and do not think in Dollar signs in the first place. Google is no holy being and money is not the most important thing in the universe. You have not believed in that in the early days and you have been happy, why not going back to the roots? That’s an awful phrase. How about saying DOA so as not to risk upsetting anyone who has experience with stillbirth by trivialising it? Are you feeling triggered at the moment? This isn’t a big surprise. Being one of the “lucky” ones who invested in a FxOS (B2G) phone early on I’ve run into multiple issues with compiling even from a more advanced developers perspective… let alone someone just beginning to compile and code for it. The tools are typically broken from Google which does the firmware flashing on most of these portable devices and it’s easy to brick. The ZTE manufacture developers haven’t done much for firmware updates on this ZTE Open, Android back-end based, “smart” phone and just moved on to another telephone. How’s that for product stability?! I suspect the security issues with the Android drivers and back-end play a part in this decision since the FxOS is typically front-end software. Biggest Mozilla news in a while. Mozilla bet big on Firefox OS, it knew that even if it regained it desktop glory, its influence would be minimal unless it had a mobile presence. Now Mozilla will just be in slow decline and a bystander as the web passes it by. Webkit monoculture on the mobile web and desktop is in full swing. 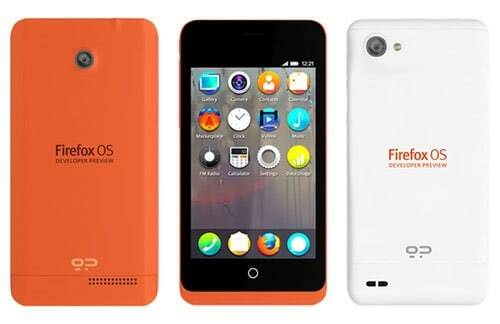 Whoever thought releasing Firefox OS as it was on such subpar devices should be let go by the company. They only have to try to devices to see how disastrous it would be. firefox os was doomed from the start a complete waste of time and money, the phone market is far to saturated with different os flavors, they would have had better luck making an android version of Thunderbird a solid replacement for all these ad filled data farms called email clients on androids. From what I could gather, Firefox OS is not dead, but the direction Mozilla takes is towards IoT and Connected Devices, and not smartphones. and yes, instead of using all resources to make firefox better they ll try something else….and fail miserably. again and again and again. lost cause. Always “nice” if someone posts Mozilla’s real opinions about Open Source and their community contributors. Read the Google Groups post too.